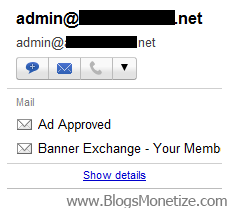 If you haven't noticed, Google has introduced a new widget that shows information about whom you are emailing with. This new feature appears on the right side of the Gmail interface. At the bottom of this widget, it lists all the email that you exchange with this person.